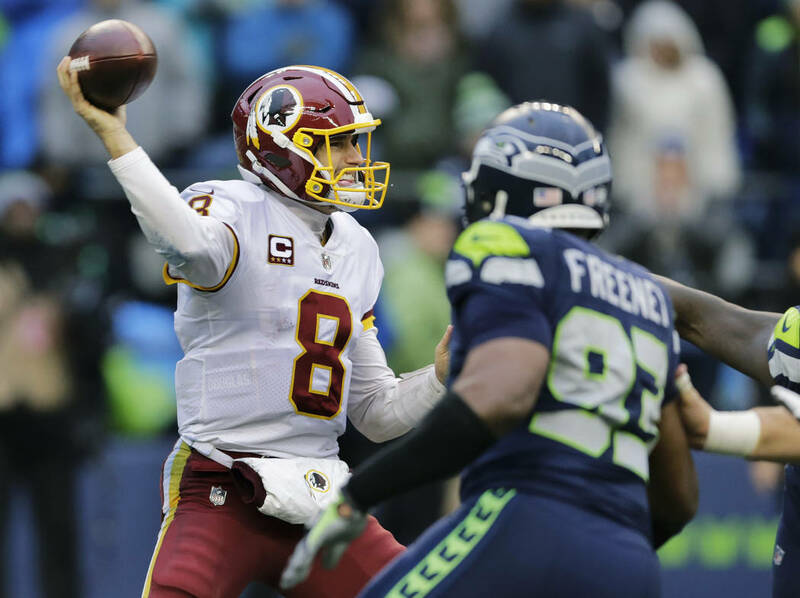 Handicapper Bruce Marshall (GoldSheet.com) breaks down Week 10 of the NFL season. Analysis: Minnesota has caught some breaks during its four-game win streak. 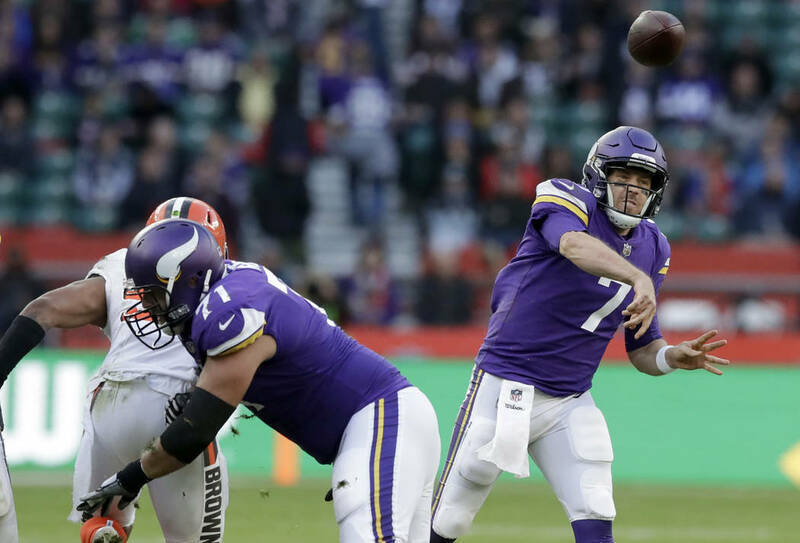 It’s been served a succession of suspect foes: The Bears in Mitch Trubisky’s first start, the Packers without Aaron Rodgers, the slumping Ravens and the winless Browns in London. 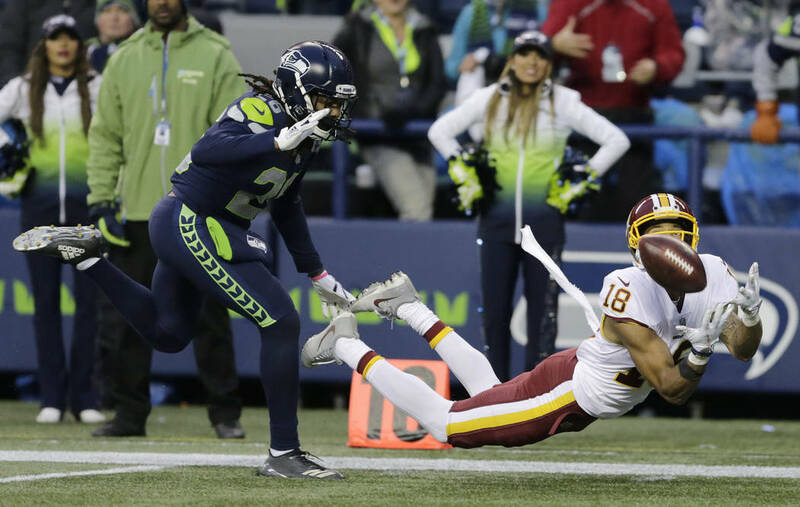 But revived Washington, coming off a rousing win at Seattle, looks to be a tougher assignment. 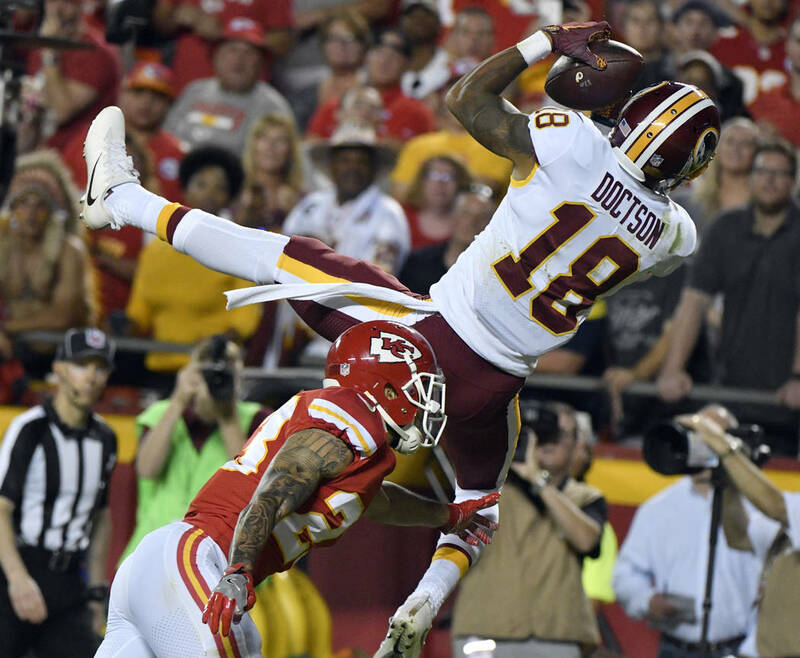 Quarterback Kirk Cousins is energized and has an emerging deep-threat target in Josh Doctson. 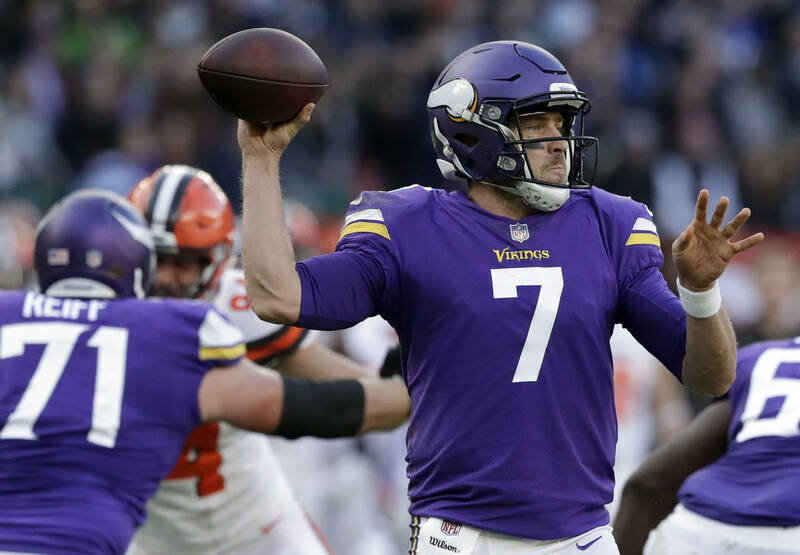 The Vikings defense will be stretched for the first time since September, and we’re not sure Case Keenum can outpitch Cousins. 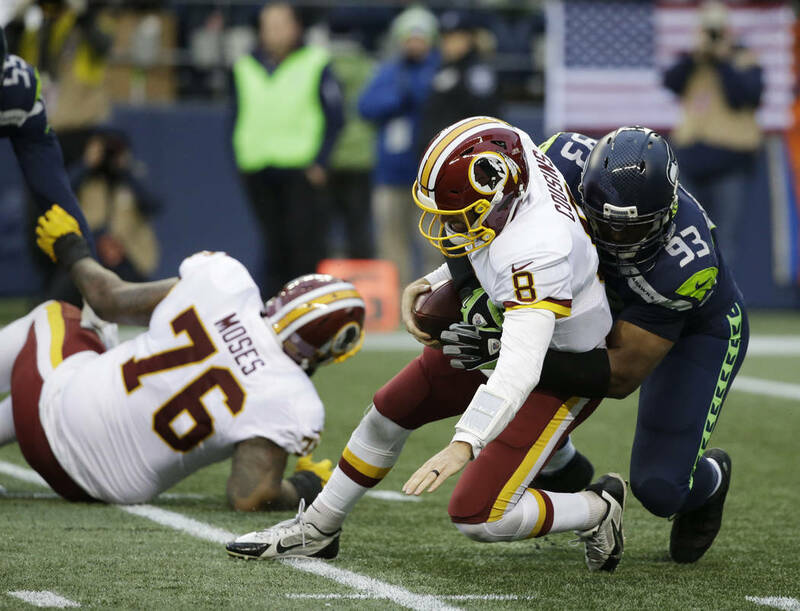 By the numbers: Washington is on a 22-7 over run overall and 16-5 over uptick as an underdog. … Minnesota is on a 2-7 ATS slide on the road. Analysis: Without Aaron Rodgers, it’s hard to trust the Packers, as quarterback Brett Hundley and the offense are now leaning heavily on rookie running back Aaron Jones. Meanwhile, Rahm Emanuel is fortunate that Chicago quarterback Mitchell Trubisky isn’t running for mayor after the Bears have covered the spread in his first four starts. 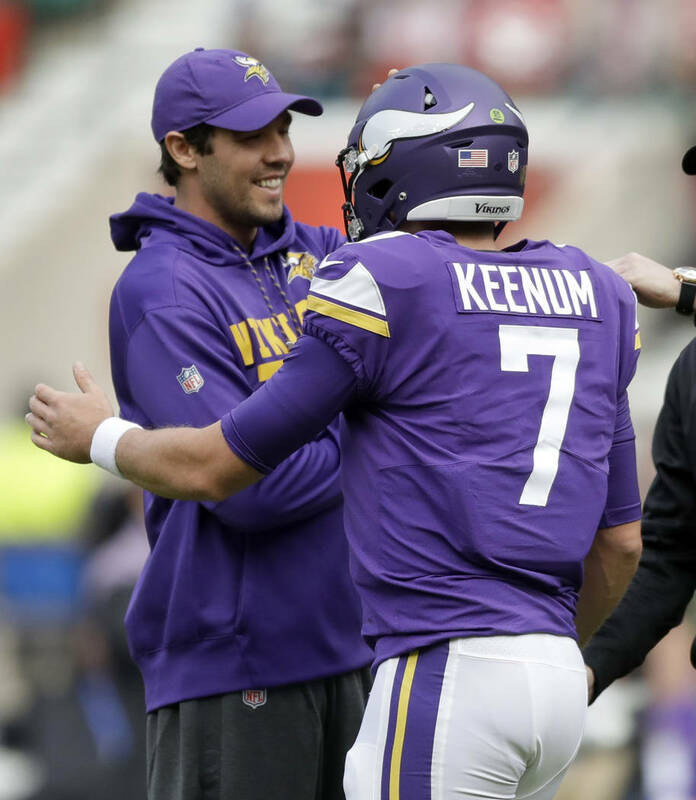 This quarterback matchup is a lot different from the Sept. 28 meeting at Lambeau Field, when Green Bay had a big edge with Rodgers over Mike Glennon and cruised to a 35-14 win. By the numbers: The Packers are 0-3 ATS with Hundley under center. … The under is 6-2 in Chicago’s past eight games. Analysis: Andrew Luck is officially out until 2018, but it hasn’t been all bad for the Colts, who have been gifted the winless Browns and 49ers and the Deshaun Watson-less Texans for their three wins. 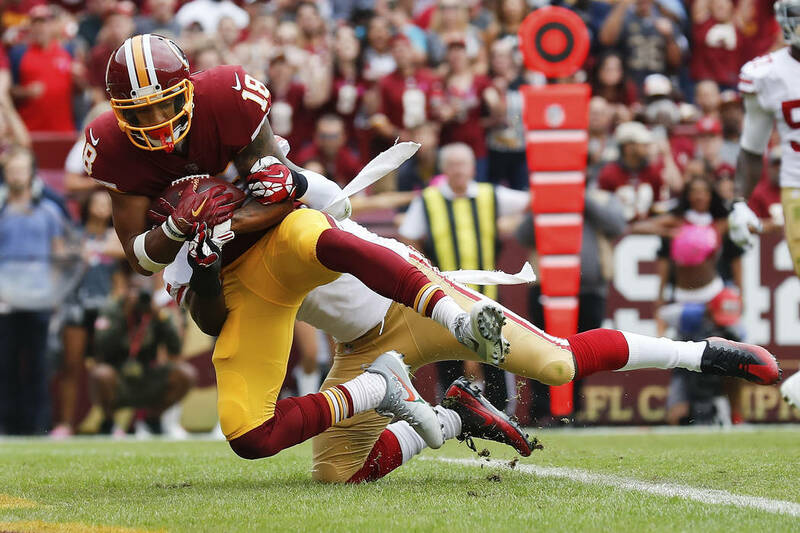 But the schedule gets tougher vs. rested Pittsburgh, which finally began to shift gears before the bye. Quarterback Ben Roethlisberger discovered a new deep threat in rookie JuJu Smith-Schuster to take a bit of attention away from Antonio Brown. Jacoby Brissett is proving a serviceable backup quarterback for the Colts, but he’s facing the NFL’s No. 2 scoring defense. By the numbers: The under is 7-1 in Steelers’ games this season, 21-5 in Pittsburgh’s past 26 road games and 19-7 in its past 26 games as a favorite. … The under also is 7-2 in Indianapolis’ past nine home games. Analysis: Jacksonville looks as if it might have enough staying power to hang in the AFC South race. A voracious pass rush that has 35 sacks looks to be a troubling matchup for Philip Rivers. But there are potential cracks in the Jaguars’ foundation with Leonard Fournette’s disciplinary suspension in last week’s 23-7 win over the Bengals. Outscoring the still-dangerous Rivers and the competent Chargers is a different matter, and we still don’t trust Blake Bortles. By the numbers: Los Angeles is on a 23-12-1 ATS run as a road underdog. … The over is 7-1-1 in the past nine meetings. Analysis: Tampa Bay has been reduced to hoping Ryan Fitzpatrick will rise to the challenge vs. one of his many former employers after Jameis Winston went down last week with a shoulder injury at New Orleans. Tampa Bay has been hampered by a nonexistent pass rush (eight sacks) that should make things a bit easier for New York quarterback Josh McCown. By the numbers: The surprising J-Men are on a 6-0-1 ATS run. … The Bucs are on a 1-8-1 spread skid. … The under is 7-2-1 in Tampa Bay’s past 10 games on grass. Analysis: About the only positive we can note with Cincinnati is that acerbic Reds play-by-play man Marty Brennaman doesn’t have the same role with the Bengals, who would be at risk of his legendary blow-dryer treatment in the wake of their unsightly 23-7 loss to the Jags. The Bengals are 31st in the league in rushing with only 72.3 yards per game. Tennessee quarterback Marcus Mariota has rookie wide receiver and deep threat Corey Davis available. By the numbers: The Titans are on a 6-1-1 ATS uptick at home. … The Bengals are on an 8-17-1 ATS slump. … Tennessee is on a 10-4-1 over run at home. Analysis: With New Orleans rolling and seeking to stay atop the NFC South, we suggest laying the short price vs. Buffalo. The Bills lost three fumbles and were unable to establish their ground attack Nov. 2 in a 34-21 loss at the Jets. Saints quarterback Drew Brees should be able to work his patented play-action passes all day, with steady support from the dangerous running back duo of Melvin Ingram and Alvin Kamara. The swarming New Orleans defense will make life difficult for Bills quarterback Tyrod Taylor. By the numbers: The Saints are riding a six-game win streak and a 5-1 ATS run. … The Bills are 3-0-1 ATS at home this season. … The over is 14-3 in Buffalo’s past 17 home games. Analysis: This is a great chance for Detroit to snap its three-game Ford Field losing streak. After facing Matt Ryan, Cam Newton and Ben Roethlisberger in three setbacks decided by a total of 12 points, the Lions’ defense will roll out the welcome mat for Cleveland rookie quarterback DeShone Kizer (three TDs, 11 interceptions). Detroit quarterback Matt Stafford should dissect a burnable Browns secondary that has yielded 16 TD passes with only six picks. By the numbers: The Browns are on an 8-26-1 ATS slide. … The over is 8-2 in Cleveland’s past 10 road games. Analysis: That brief glimpse of rookie quarterback Deshaun Watson must now seem like a dream to Houston fans, who watched backup quarterback Tom Savage struggle in place of the injured Watson in a home loss to the lowly Colts. The much-improved Rams have blasted off like a rocket under first-year coach Sean McVay. Los Angeles defensive coordinator Wade Phillips will have his charges primed against the team that fired him in 2013. By the numbers: The over is 6-2 in Rams games this season and 7-1 in their past eight games on grass. … Los Angeles is 2-8-1 ATS in its past 11 home games. Analysis: Without Ezekiel Elliott, we expect Dallas to circle the wagons. Quarterback Dak Prescott can carry a bit more of the load, and the Cowboys have been getting better efforts recently from their defense. It’s not happening this season for the Falcons, as new offensive coordinator Steve Sarkisian and quarterback Matt Ryan are still not on the same page. Atlanta has played one good game this season, a 34-23 win over Green Bay in Week 2. By the numbers: The Falcons are on a 0-5 ATS slide. … The over is 12-2 in Atlanta’s past 14 home games, 14-3-1 in its past 18 games vs. the NFC and 14-4-1 in its past 19 games as a favorite. Analysis: In a perfect world, quarterback Jimmy Garappolo gets a test run with the Niners and coach Kyle Shanahan’s offense. 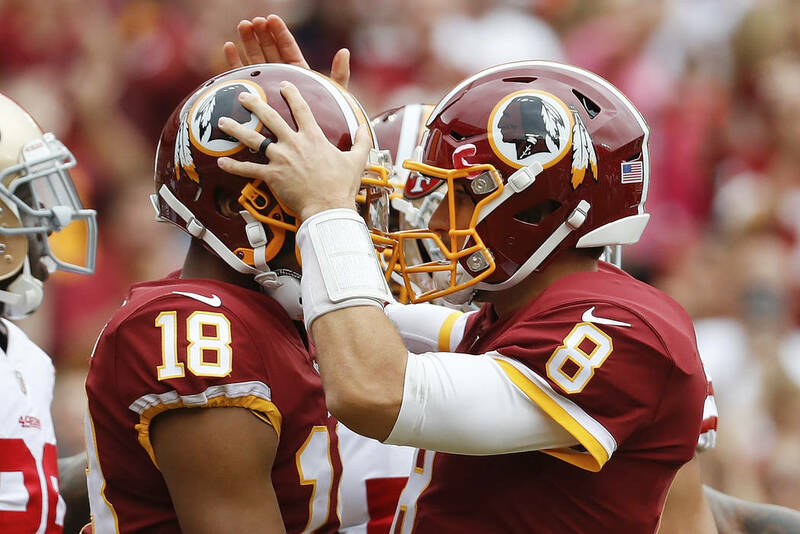 But with top wideout Pierre Garcon out and the 49ers’ offensive line hurting, Garappolo probably won’t be risked Sunday, meaning it will be more of rookie quarterback C.J. Beathard. By the numbers: The Giants have covered three straight on the road this season. … The under is 19-8 in San Francisco’s past 27 home games. … The 49ers are on a 2-9 ATS slide at home. Analysis: New England coach Bill Belichick is 2-4 ATS in the past six years after a bye, and quarterback Tom Brady is 0-3 straight up and ATS in Denver in the playoffs. But those problems came against good Broncos teams. That doesn’t seem to apply to the current bunch, which is on its first four-game losing streak and spread skid since 2010, when Patriots offensive coordinator Josh McDaniels was Denver’s coach. Quarterback Brock Osweiler’s desperate insertion into the lineup at Philadelphia didn’t abate the Broncos’ NFL-worst turnover margin of minus-12. And the “No-Fly Zone” defense was a no-show in a 51-23 loss to the Eagles. By the numbers: The home team had covered seven straight in the series before New England’s 16-3 win in Denver last season. … The Patriots are on a 10-2 ATS uptick on the road and 8-2 ATS run as road chalk. … The Broncos are on a 3-8-1 ATS skid. Analysis: Carolina rookie running back Christian McCaffrey emerged from witness protection to give Cam Newton a bit of a diversion with 66 yards rushing and a TD in last week’s 20-17 win over Atlanta. Miami probably won’t do much damage vs. Carolina’s robust defense, but the Dolphins had a sharper offensive edge vs. the Raiders with quarterback Jay Cutler back from his rib injury. The Panthers, averaging 13.0 points a game in their past three, are not scoring enough to lay this enhanced price. 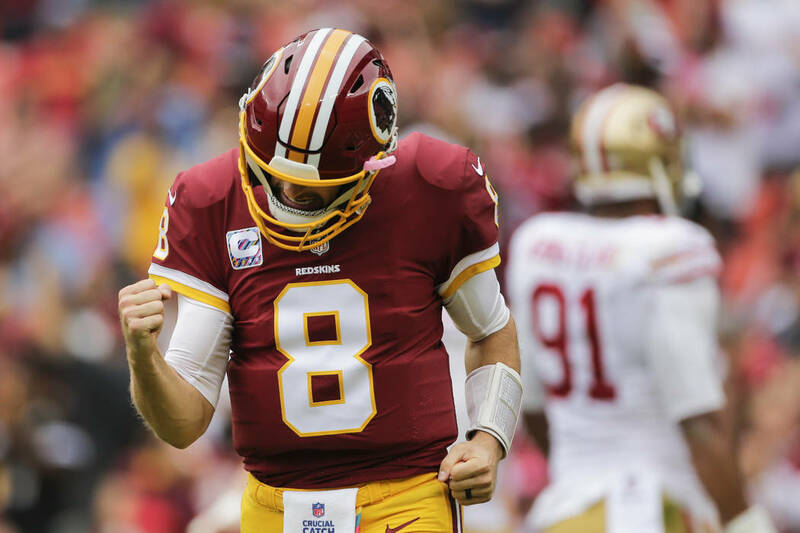 By the numbers: Carolina is 1-3 ATS at home this season and on a 4-7 spread skid at home overall. … The over is 7-2 in Miami’s past nine Monday night games.